Kids Tennis Camps & Classes this Fall - Reno, NV - Beginners Welcome! 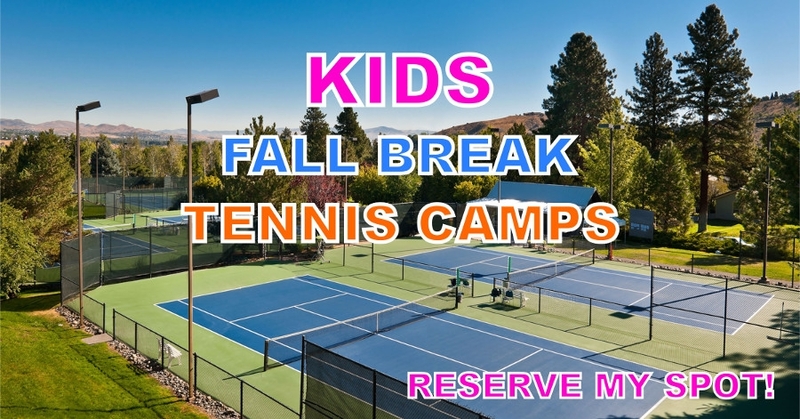 The fall kids tennis camps are coming to Caughlin Club in Reno, Nevada! This tennis camp provides the ideal environment to learn how to play tennis from some of the best coaches in the area. We will be offering two weeks of junior tennis camp for players, ages 3-17, of all skill levels. This fall tennis camp combines a beautiful, safe location, with a staff consisting of college players and qualified instructors. The camp will include up to three hours of tennis instruction and play each day. Come play tennis, make new friends, and have fun on and off the court. Youth tennis camps are the ultimate combination of fun and athletics! Kids are able to learn quickly and have fun through the use of smaller courts, properly fitted racquets, and specialized tennis balls.